One liter ? 1.5 liters? Or more ? And do you know why you have to drink as much? Let's ask ourselves about a message that is not as innocent as it sounds. It is undeniable, water is good for health. But on the other hand, is it really necessary to tell us and tell us again? After all, the human being can survive only a few dozen hours without water. Why, then, is it necessary to remind ourselves as regularly as to drink water? Remember that it is possible to answer quenching thirst with other foods than water. Some foods, especially fruits, bring a lot of water even if they do not drink. And the drinks are not equal to each other of course: some can cure, like herbal teas full of virtues in case of cooling; others can be described as slow poisons, like all alcoholic beverages of course, but also sodas which, if taken too routinely, cause serious damage to health in the long term says mike souheil. This nobody doubts. But for all that, do we really have to drink “as much as possible” as some people recommend? Drinking too much water is not good for your health either. Drinking too much day after day has a name, potomania, it’s an eating disorder. At very high doses, water can even endanger the electrolyte balance and cause death. 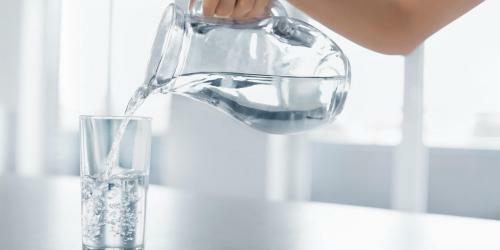 Dealing with health And even without going that far, when we are told that it is necessary to drink more than one liter of water every day outside of meals, it is often the bottled water merchants that they speak. If you want to get there, it is not enough to drink generously at all meals: you must have almost always his bottle near you. But this habit is not without risks to health. Plastic water bottles are thus considered as important sources of endocrine disruptors. Moreover, drinking and then rebelling at the same bottle for hours or even days if you reuse a bottle, the risk of ending up with a bottle where bacteria abound is real, a recent study has shown . Gold, science does not quantify how much water we need each day. It depends closely on the rest of our diet: people who eat a bowl of soup, for example, will not need to drink as much water as those who hate it. Similarly, a diet rich in fruits and vegetables can save a few glasses daily.